Catch me on UFC FightPass this Friday! 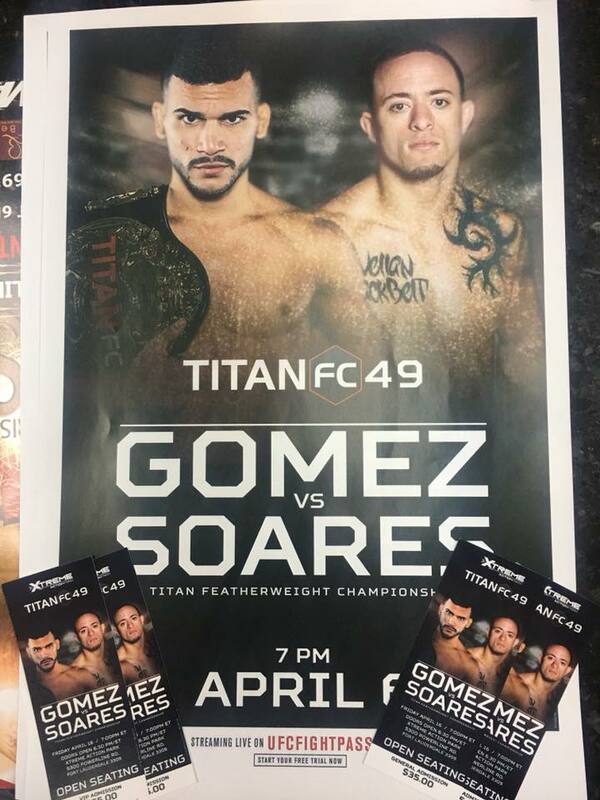 My black belt Jason “the Specimen” Soares (10-0 Pro MMA record, AFC champ), will be seeking his second title again Luis Gomez in Titan FC 49. The fight will be shown on UFC Fight Pass this Friday (April 6th) starting at 7pm. Jason is the main event (9th fight on the card), so I expect it will be some time around 10pm EST. If you are not local, you can watch live on UFC Fight Pass. If you can’t watch it but want to support Jason, you can order his DVD and Online Course, the Back Attack Series. I have never seen someone break down one position and one technique as proficiently as Jason. He is an expert at the back mount and the rear naked choke, having won 6 MMA fights by way of rear naked choke. The first DVD is almost completely dedicated to just the rear naked choke.